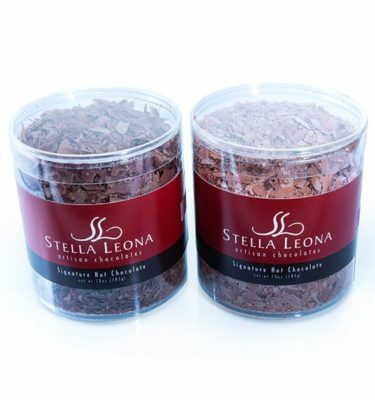 Xocolatl, a Stella Leona original, is a Mayan inspired hot chocolate drink with just a hint of cinnamon. It was the Maya Indians who first discovered the delights of chocolate. They harvested cacao beans from rainforest trees and cleared lowland areas to grow their own trees in the first known cacao plantations. They used these cacao beans to make xocolatl–a prized drink made with cacao beans, water and spices. This xocolatl was the beginning of all chocolate as we know it today. 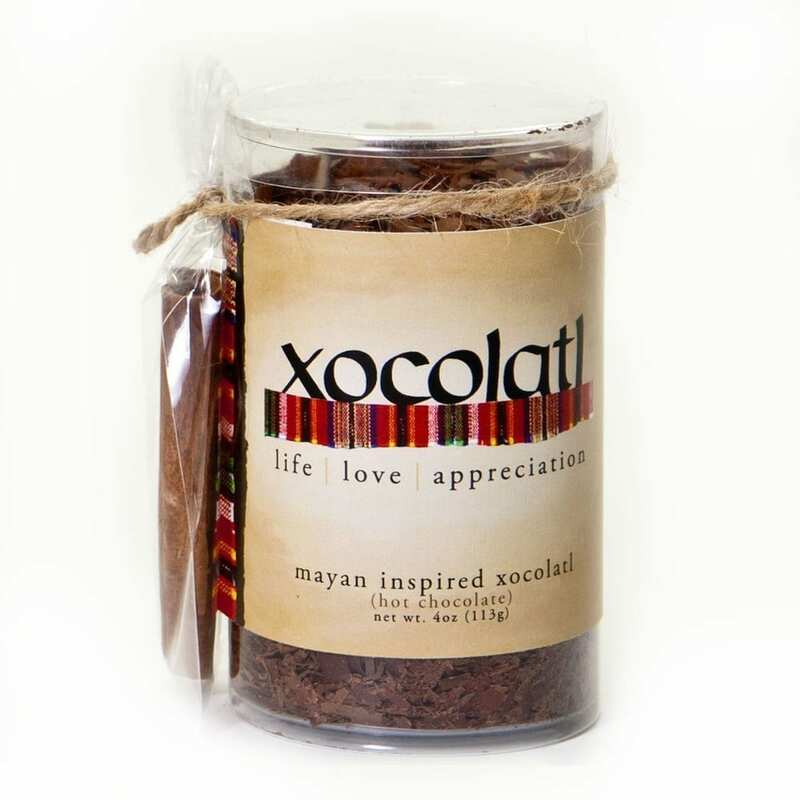 This blend of chocolate and spice has been created in honor of the Maya. It is truly a one-of-a-kind drink that you won’t find elsewhere. Xocolatl can be prepared with either milk or water depending on your personal preference. A water based Xocolatl is a more tipica (traditional) Mayan drink. The use of milk has a distinctly European influence. Either way, reward your senses with the warmth, aroma and deep flavors of Xocolatl Hot Chocolate. Our 4 ounce package provides 2 delicious servings. Stir with the cinnamon sticks provided and top with whipped cream for a special treat.